NTP is a core protocol used today’s IT infrastructure to synchronize date and time information. In order to work properly, we need to configuration NTP port in our server, client and intermediate systems like switch, firewall, router. NTP uses the UDP port number 123 by default. NTP services run on UDP protocol because of the UDP simplicity and performative behavior. NTP is also a very simple protocol just like ask and get response manner which is very well suited with the connectionless UDP protocol. As stated previously NTP uses UDP transmission protocol by default with port number 123. As UDP is not fully reliable protocol it may create some problems during usage. TCP provides more reliable transmission of the protocol packages. So TCP port number 123 can be used for more reliable and less problematic NTP transmission. 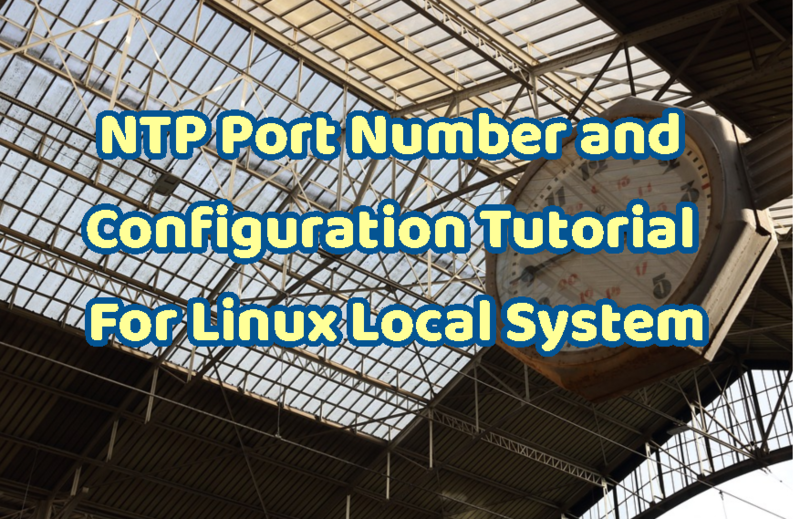 In this part, we will learn basic steps to list and change NTP port configuration. These steps can be run all major Linux distributions like Ubuntu, Debian, Mint, Kali, Fedora and CentOS. We will start by listing NTP ports with the tool netstat and grep . We will grep port number 123 from the output of the netstat command listening UDP and TCP ports. In Linux distributions, NTP services status can be listed with the systemctl command like below.